Calling all dino fans! 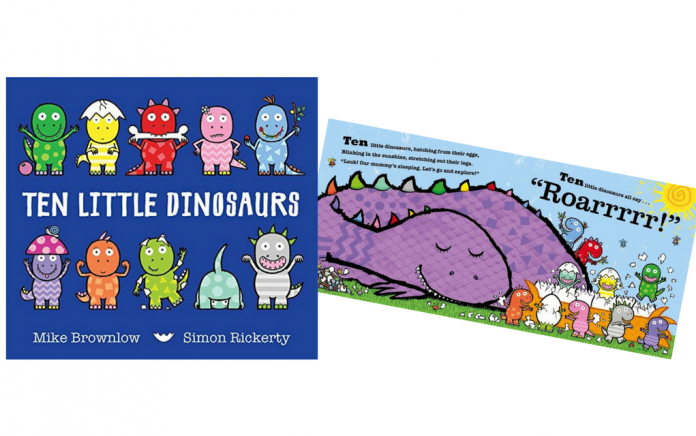 Do you want to know more about the T-Rex, or become a stegosaurus expert? Read up on all your favourite prehistoric creatures with this selection of the best dinosaur books – perfect for dino-mad kids! 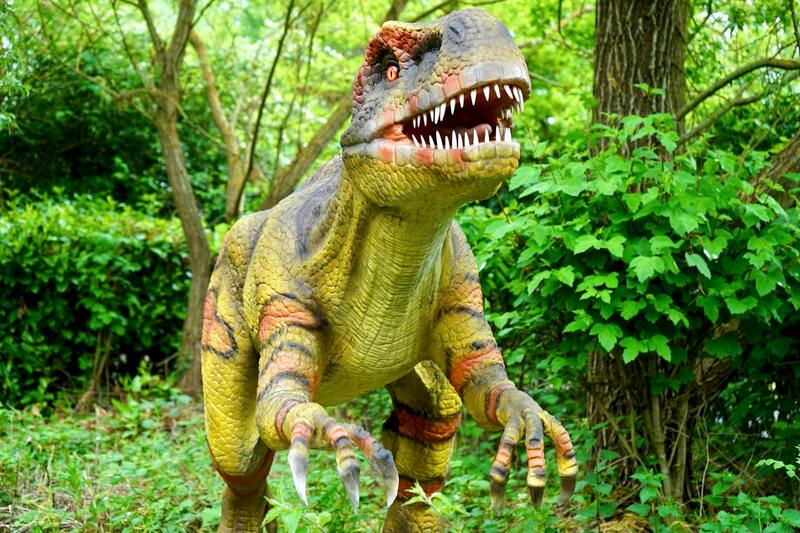 Is your kid mad about all things dino-related? Well, look no further than our collection of books to keep them entertained. From board books for babies to chapter books for independent readers, or how about encyclopaedias to learn even more dino facts – our dinosaur books list has something for everyone. And don’t forget to download our FREE dinosaur word search – a great way to keep the kids entertained! 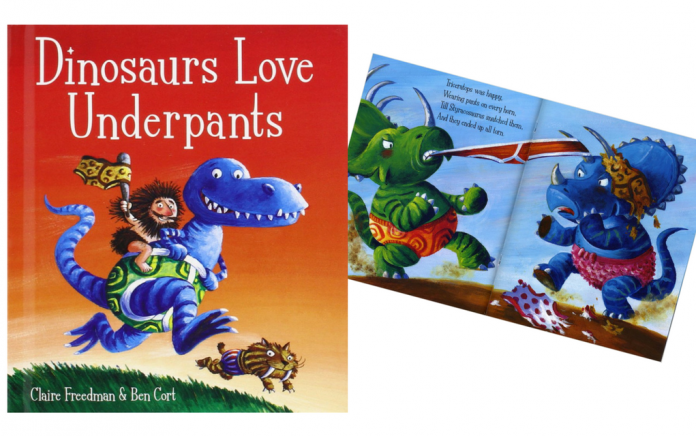 You may wonder why dinosaurs became extinct, well here is the answer…they were all wiped out in a mighty Pants War! Find out all about T-Rex and the gang in this hilarious follow on from the popular Aliens Love Underpants. 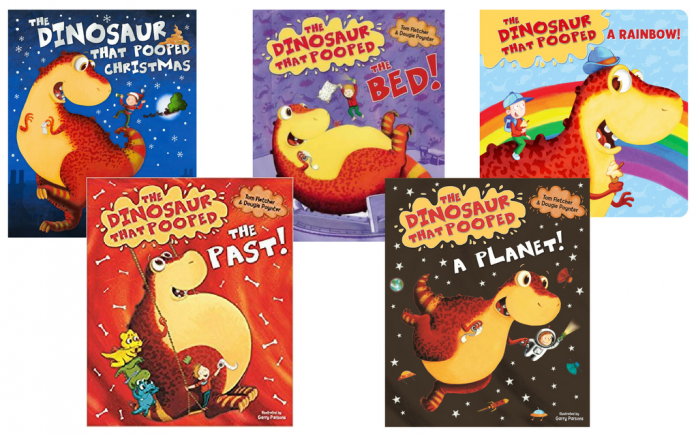 There are several books in the Dinosaur That Pooped series, all as funny as the next, as Danny and Dinosaur team up for lots of EXPLOSIVE adventures! Join in with Triceratops, Stegosaurus and their friends as the dinosaurs stir up a dinosaurumpus! The rhyming text and fun illustrations make this a great tale for young dino fans. 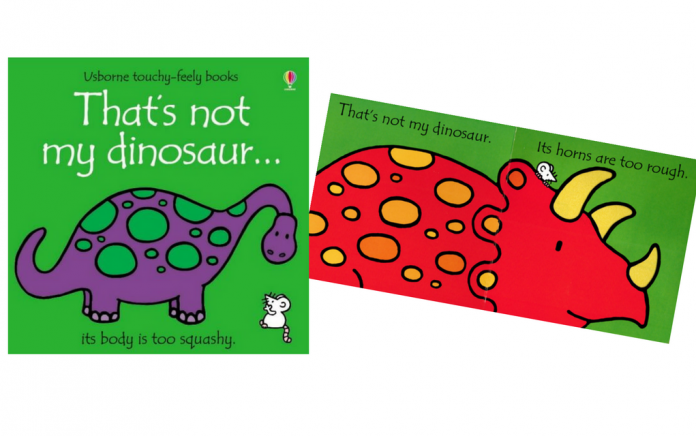 Part of the Usborne Touchy-Feely series, these board books are ideal for babies and toddlers who love the variety of tactile elements. Featuring more than 35 stunning pop-ups, this is an awe-inspiring tribute to the world’s most celebrated extinct animals. Packed with fascinating information about popular dinosaurs, as well as many lesser-known varieties, there is plenty in this book to keep your dino fan happy. 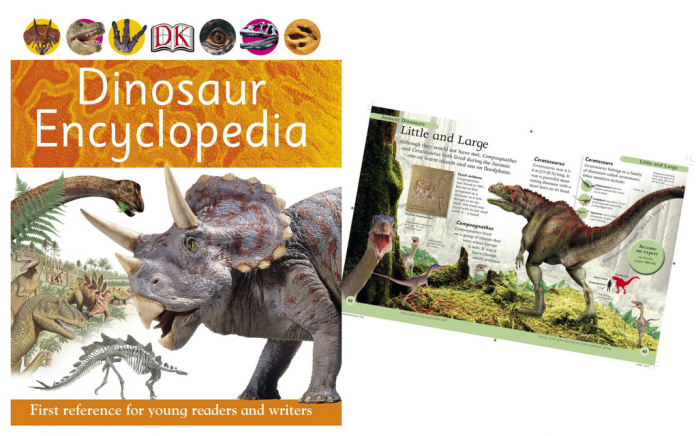 Explore the prehistoric world with this great encyclopedia for kids. 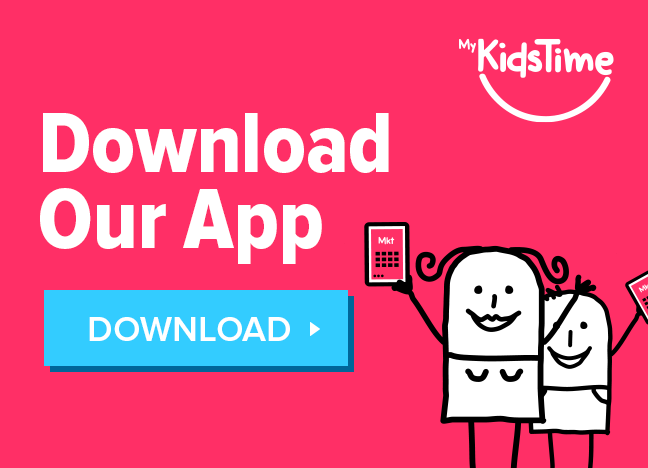 Packed with bite-sized facts, quizzes and special ‘turn-and-learn’ features kids love getting their teeth into, there’s lots to see and explore. 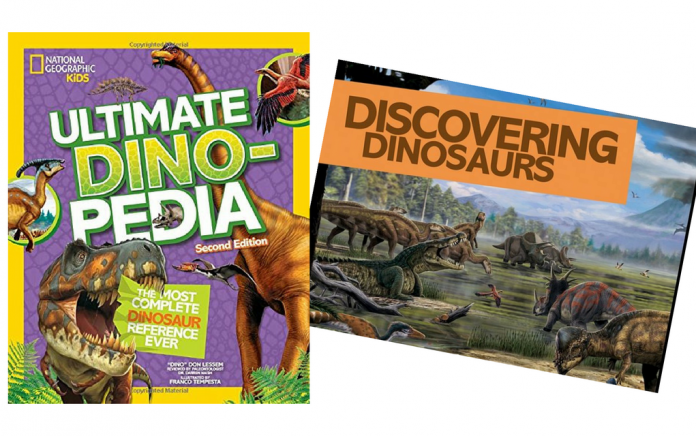 The new edition of the popular Nat Geo Kids Dinopedia includes all the latest species and is the most complete, up-to-date dinosaur reference available. There are more than 600 dinos featured, as well as reports from palaeontologists. 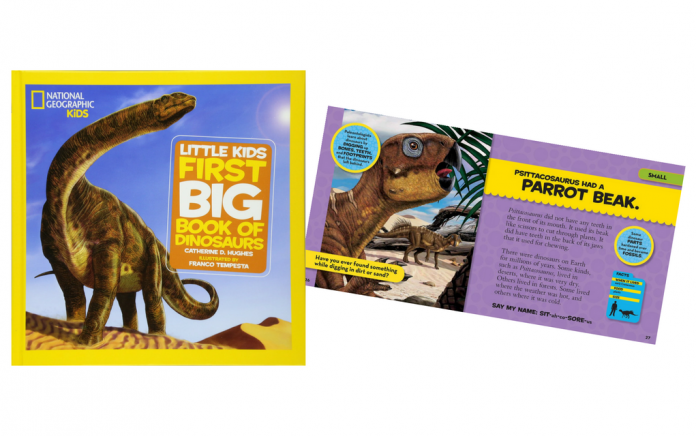 Bursting with fun facts and age appropriate information for 4-8 year olds, each page features a different dinosaur, along with simple text in big type that is perfect for little kids. 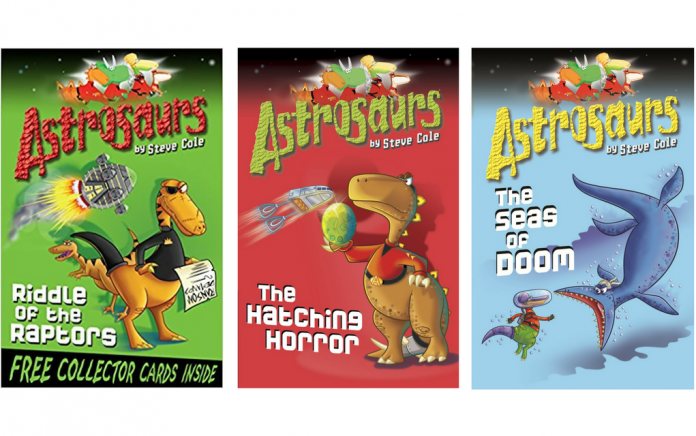 It’s time to meet Captain Teggs Stegosaur and the crew of the amazing spaceship DSS Sauropod. The Astrosaurs fight evil across the galaxy in more than 20 books your independent reader will love. 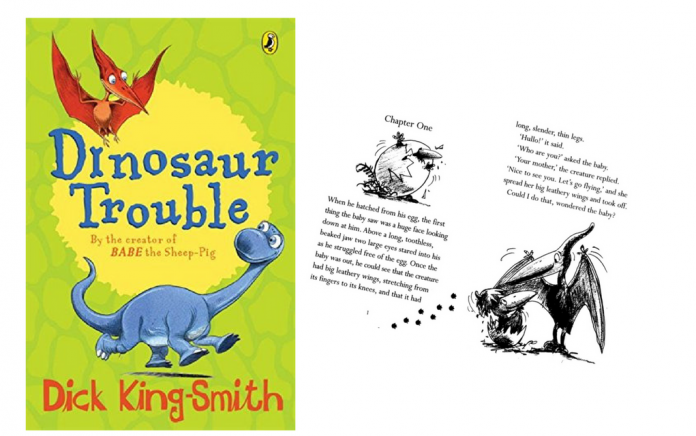 A stomping, chomping dinosaur romp from the creators of the multi-award-winning, bestseller, Ten Little Pirates. 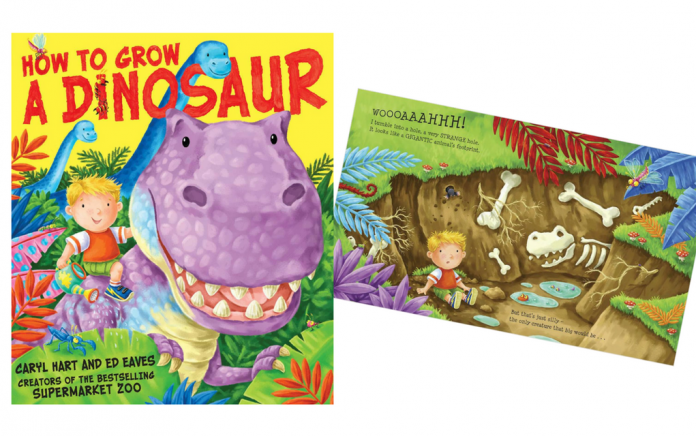 With lots of things to count and spot, little dino fans will be delighted! Albie is a normal little boy who has extraordinary adventures. 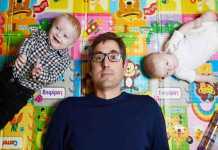 When he helps his mum in the garden by planting some seeds, he can’t quite believe his eyes the next morning…! 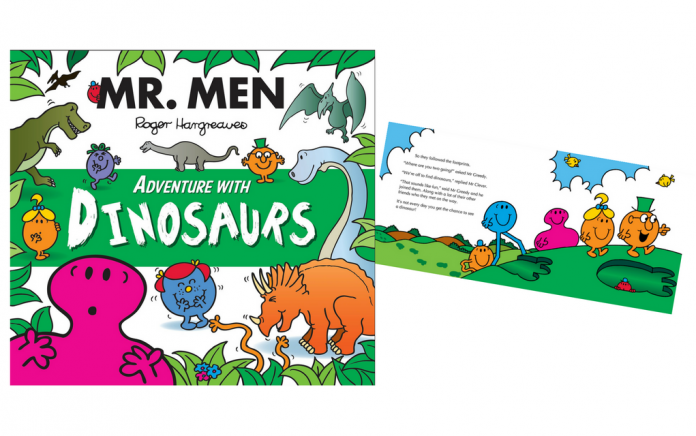 A fun adventure tale as the Mr Men hunt to find dinosaurs with some extraordinary encounters between the two – including when Mr Tickle meets a Tyrannosaurus Rex! 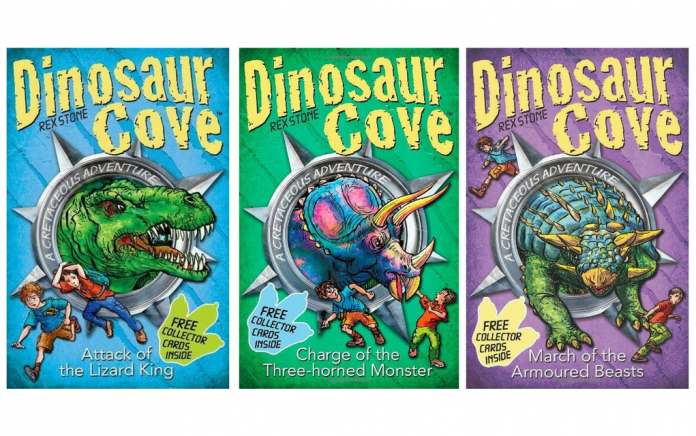 An exciting series for your dino fan! Welcome to the Cretaceous! 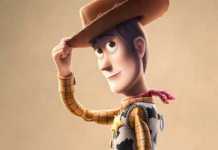 It’s a pretty awesome place, as Jamie and Tom discover when they find the fossilized footprints which lead them to the world of dinosaurs. 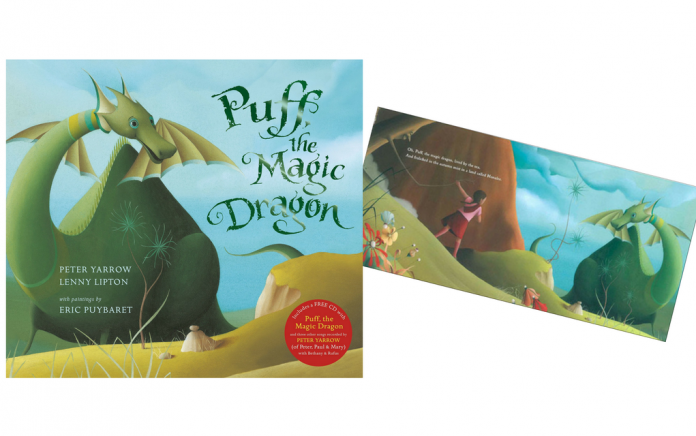 For more than 50 years, Puff the Magic Dragon has been a phenomenally successful and critically-praised picture book. Available in board book or paper back, take a trip down memory lane! 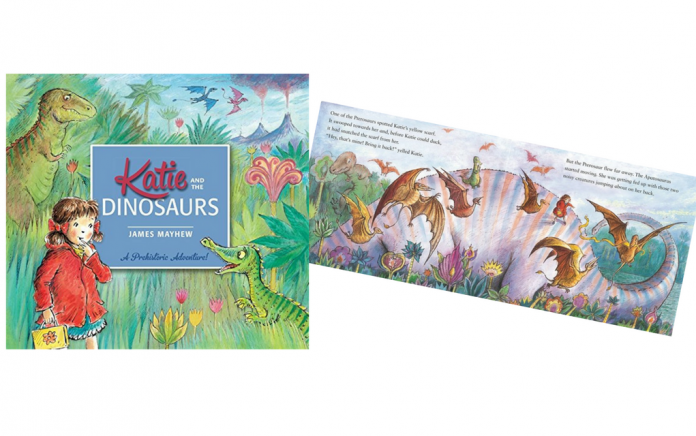 When Katie visits the Natural History Museum, she finds a very mysterious door…and steps back in time to the world of the dinosaurs for a prehistoric adventure! Part of the hugely popular Katie series. 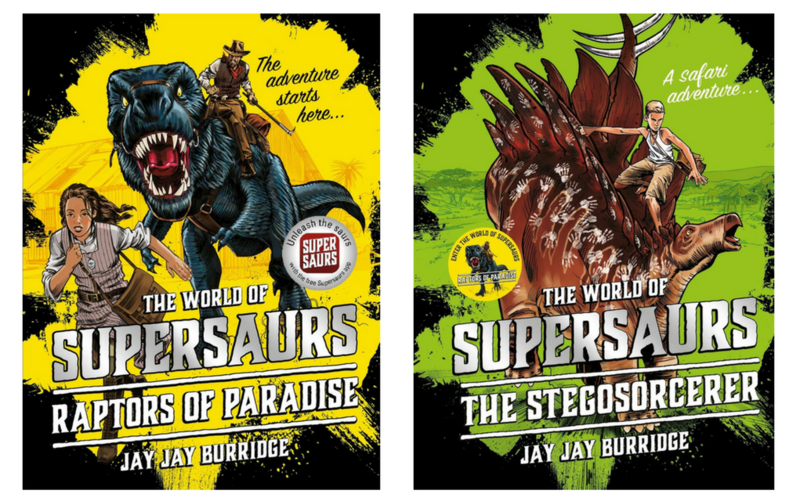 Imagine a world where dinosaurs have survived and evolved as supersaurs! This is the world that Bea Kingsley lives in, a world where humans live side by side with supersaurs – sometimes in peace but often in conflict. Winnie and Wilbur are at the museum looking at dinosaur bones. 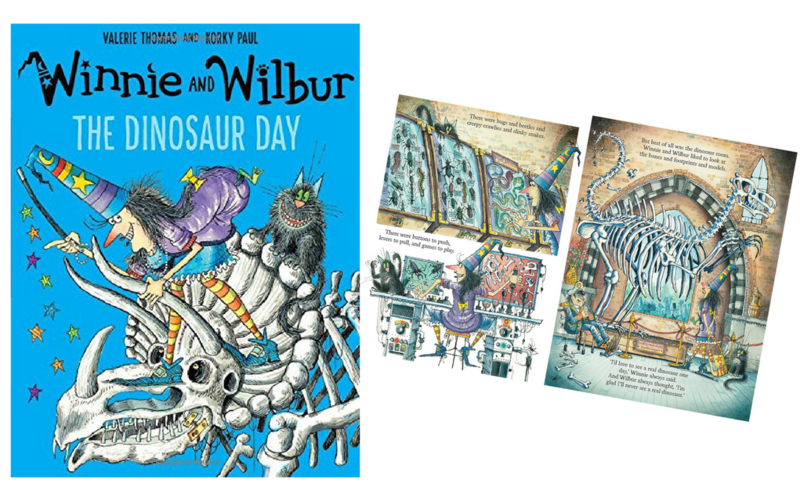 But Winnie would love to see a real dinosaur so she waves her magic wand and zooms off with Wilbur to the time when dinosaurs roamed the earth. Mad-cap humour and fun illustrations make the Winnie the Witch books a real family favourite. 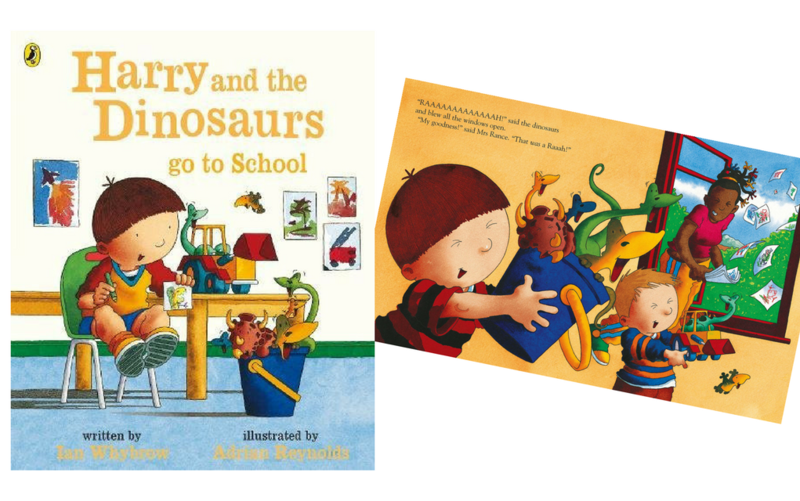 Just one of the books from the Harry and the Dinosaurs series, which are perfect for preschoolers and young children. 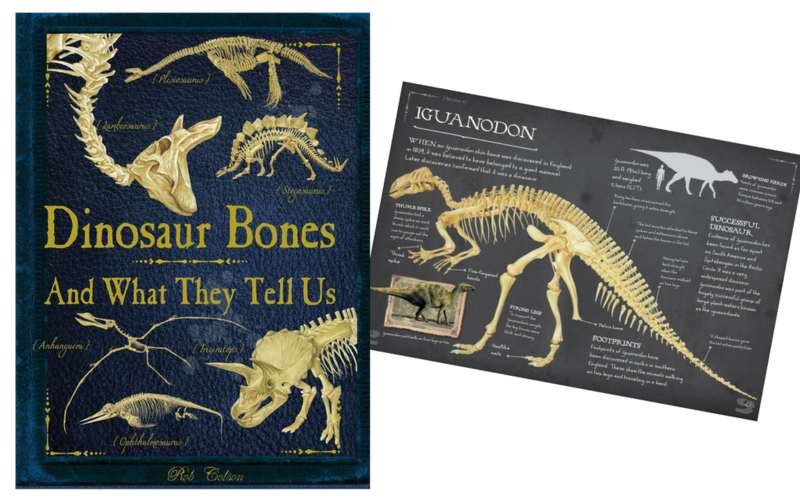 Budding paleontologists will love this authentic notebook filled with labeled drawings and notes. 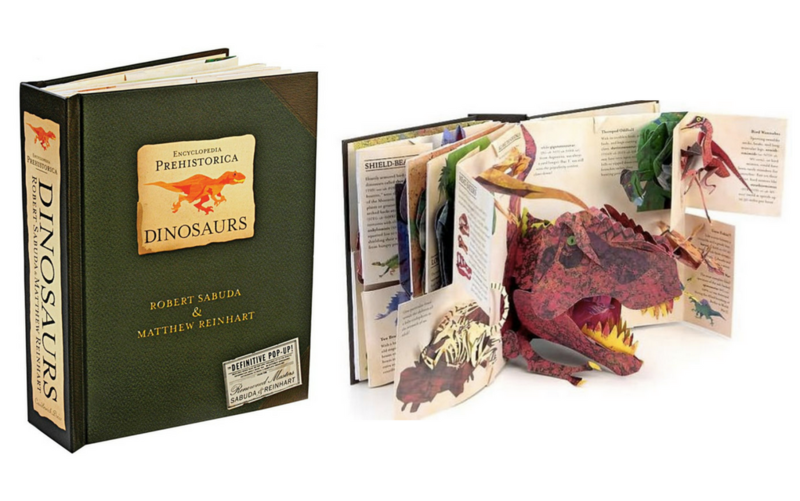 With reference to 40 dinosaurs, marine reptiles, flying reptiles and prehistoric mammals, this is great for enthusiastic dino fans. 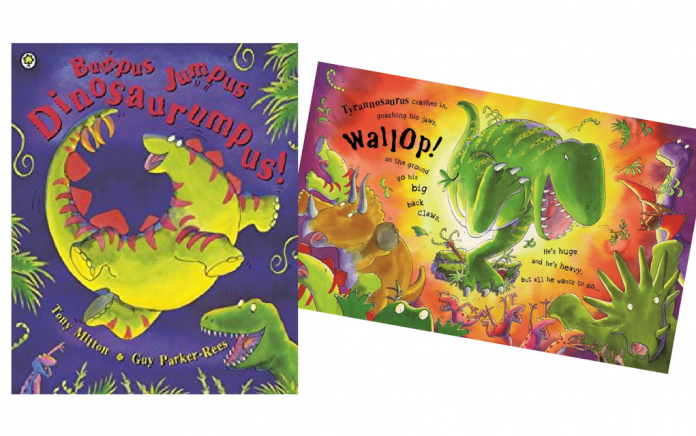 What are your child’s favourite dinosaur books? Leave a comment below and let us know – we’d love to hear from you!